Only effective long term action I think would be to region lock servers. Only problem with that is that many of us have friends in say...Australia, and region locking would separate us. Region locking is not a viable solution on a game like ARK. It's an ongoing, multiplayer game, completely unlike other mobile instance games where the play is temporary and typically less communicative. Private servers will make it possible for players to play in a server setting with specific people, and there is always the single player game if you'd like to avoid other players all together. Yeah I think so too. Me and my 2 friends play on an NA server but we're from Europe and Asia. But we still have good pings and no problem communicating with others. 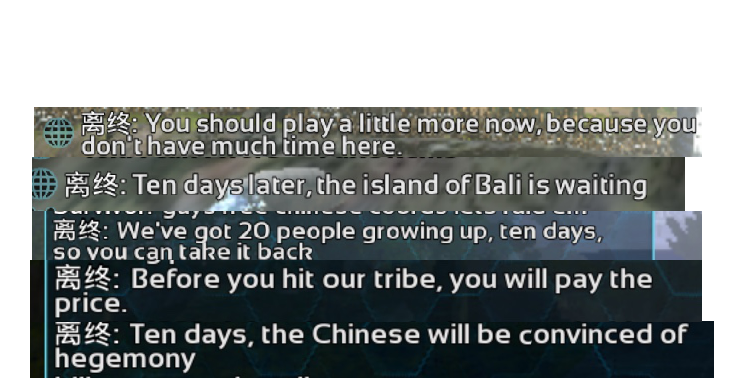 One reason for not joining a European server was that they speak a lot of different languages there which makes it hard to communicate in global chat. On na servers its mostly English. And I think if you have problems with "Asians" as you call them, try talking to them in a way they will understand your issue without being offended. And if nothing helps take Screenshots and report them. Read the guidelines and you'll know what you and others can and can't do. Then can you give us an ETA as to when Private servers will be available to host. I don’t think the problem is I play on EU or rather I play on NA.According to your logic the problem is that these “Asians” don’t play in Asian servers. Even with region locking, they will still use proxy to get to your server. They are not idiots.